When will be RuPaul's Drag Race: RuVealed next episode air date? Is RuPaul's Drag Race: RuVealed renewed or cancelled? Where to countdown RuPaul's Drag Race: RuVealed air dates? Is RuPaul's Drag Race: RuVealed worth watching? Cultural icon RuPaul revisits season 6 of "RuPaul's Drag Race" to offer insider info, colorful commentary and a unique perspective on this exciting season. Rulive Season 5 with commentary from Ru on all of your favorite season five queens. 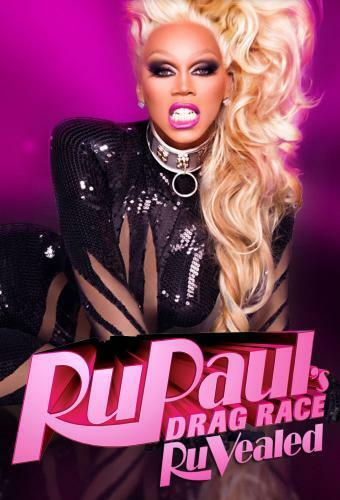 RuPaul's Drag Race: RuVealed next episode air date provides TVMaze for you. EpisoDate.com is your TV show guide to Countdown RuPaul's Drag Race: RuVealed Episode Air Dates and to stay in touch with RuPaul's Drag Race: RuVealed next episode Air Date and your others favorite TV Shows. Add the shows you like to a "Watchlist" and let the site take it from there.